You are a castle owner with an ammunition and money. You start a bloody duel with up to 5 other worms and castle owners like you. 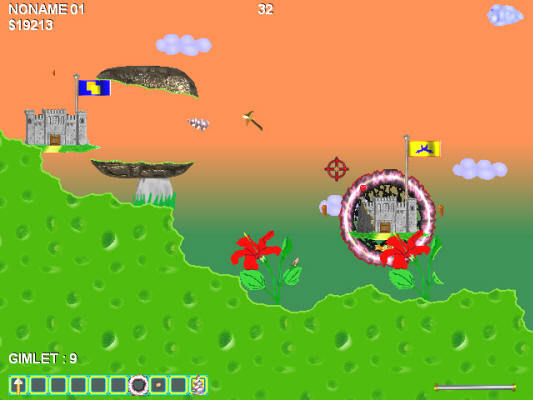 Other castles either can manage by another player on the same computer or a computer if you don’t have worthy opponents. Destroying castles of your opponents (and yours own too), with various weapon ou try to win a round. For destroyed castles you receive some money, for the victory you receive a prize in a money's worth. 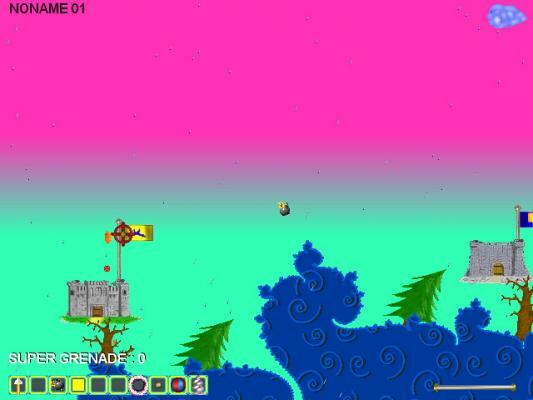 Then you will be able to buy in a shop for won money various kinds of the weapon which you need and continue the game. Also there are various falling gifts in the game. If you hit on witch you can earn money or get a weapon. But not be carried away, there are enemies around. The game can go on forever. Round by round. There are five textures of the levels and about 60 unique images of mountains and sea of pleasure in the game. 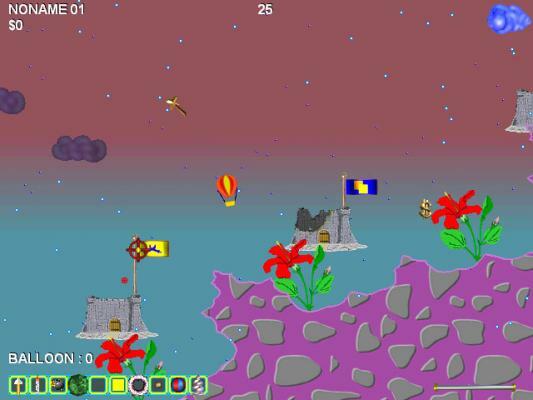 Castle Worms Scorch tanks castle worms game.